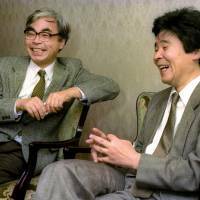 AFP-JIJI - Isao Takahata, the animated film director who co-founded Studio Ghibli and is known for his award-winning “Grave of the Fireflies,” died of lung cancer Thursday at a Tokyo hospital, Studio Ghibli announced Friday. He was 82. 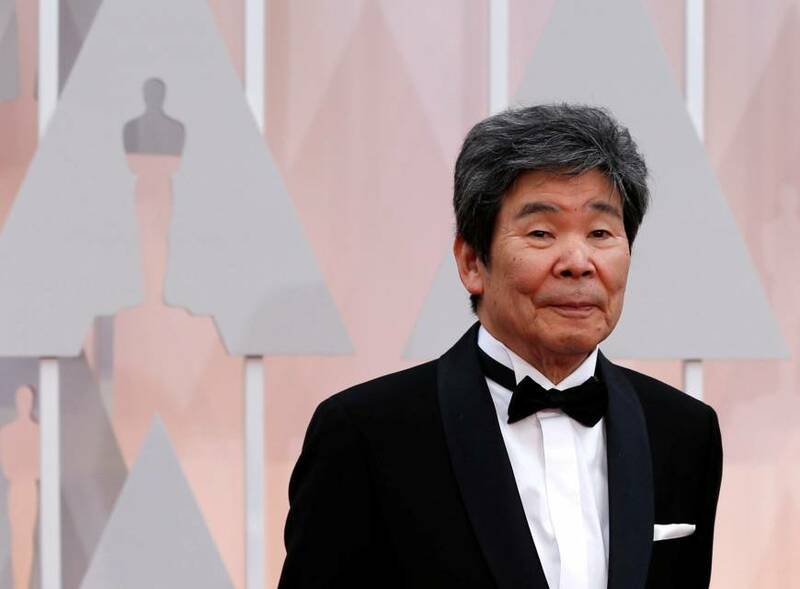 Takahata, who was born in Mie Prefecture, co-founded Ghibli with renowned animator Hayao Miyazaki in 1985 and produced a number of films that earned widespread acclaim. His latest film, “The Tale of the Princess Kaguya,” earned him an Academy Award nomination in 2014 for best animated feature. It was also selected for a slot in the Directors’ Fortnight sidebar to the main competition at the 2014 Cannes Film Festival. However, most consider 1988’s “Grave of the Fireflies,” a film based on Akiyuki Nosaka’s novel of the same name, depicting the struggles of a young boy and his sister in the final month of World War II, to be his best work. The film won many accolades, including the Animation Jury Award and Rights of the Child Award at the 1994 Chicago International Children’s Film Festival. “Grave of the Fireflies” was also inspired by his own experience fleeing a 1945 U.S. air raid in the city of Okayama that killed some 1,700 people. He grew up in the city between 1943 and 1954. He once recalled how, as a 9-year-old boy, he fled the bombing barefoot in pajamas and witnessed piles of dead bodies. The memory was reflected in the film. 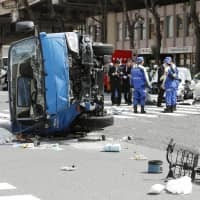 “We were lucky to make it out alive,” he told The Japan Times in a 2015 interview. 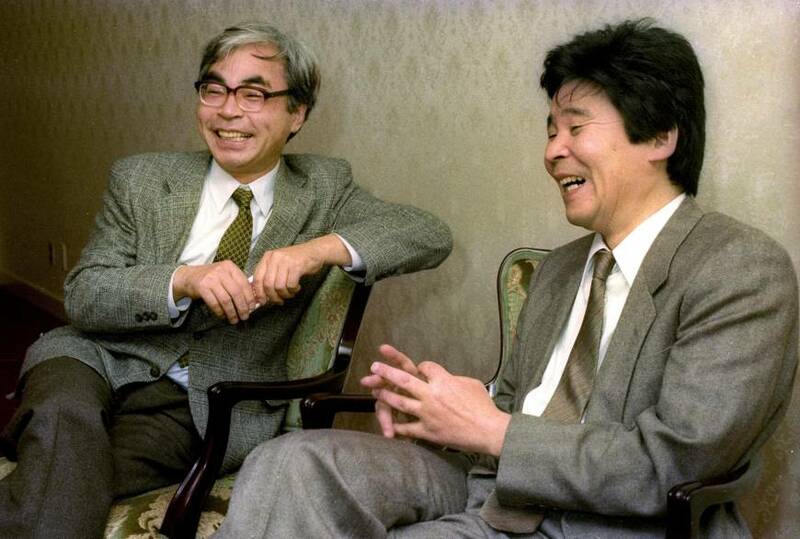 Takahata, after graduating from the University of Tokyo, started his career in animation at the Toei studio in 1959, where he met long-term collaborator Miyazaki. The pair are often described as both friends and rivals. 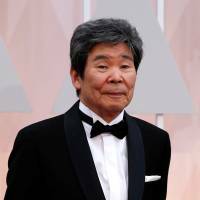 Over a long and distinguished career, he produced around 20 films, including “Only Yesterday” (1991) and “Pom Poko” (1994). 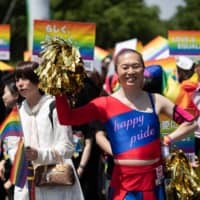 He is also well-known for the animation series “Alps no Shojo Heidi” (“Heidi, Girl of the Alps”) and “Lupin Sansei” (“Lupin the Third”). Takahata said he was inspired to pursue his career after watching French film director Paul Grimault’s “The King and Mister Bird,” released in 1955. He said he was captivated by the allegorical nature of the work and felt “the possibilities of animation” to explore beliefs and social issues. 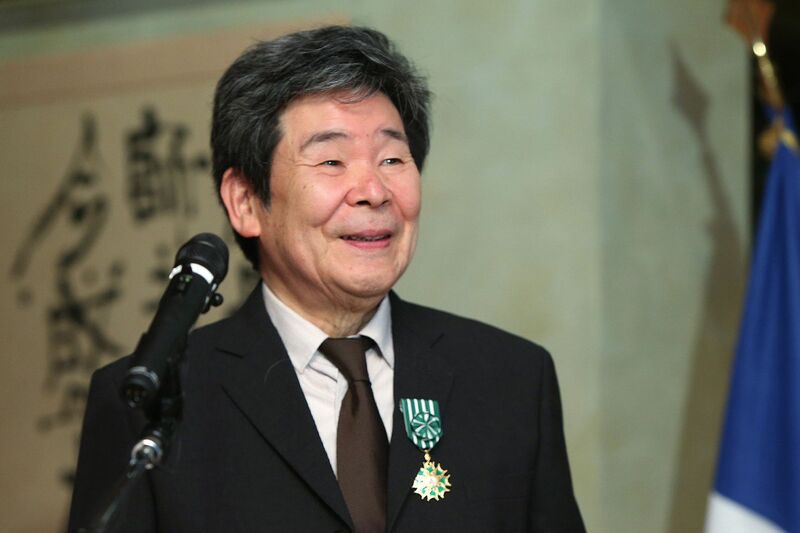 Isao Takahata smiles after receiving the Officier of L’Ordre des Arts et des Letters from the French ambassador to Japan in April 2015 at the French embassy in Tokyo. Also in the 2015 interview, Takahata commented on how improved computer graphics had changed the world of animation. 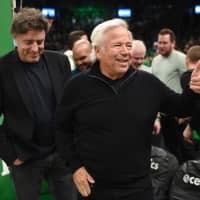 In an interview with The Associated Press, also in 2015, he said all of his stories urge people to live their lives to the fullest and not be held back by petty concerns.